A few days ago I wrote about a post I read over at Lehi’s Library which quoted a paper by Kevin Christensen in which he referenced Margaret Barker. The subject was the use of the Hebrew word/letter tau or tav, translated as “mark” in Ezekiel 9:4–6, and what it meant in Ezekiel’s day, and what it may have meant to the Nephites who also referenced it (Jacob 4:14). The conclusion was that it may have referred to an anointing that the high priests received on their foreheads, having literally taken upon themselves the name of God. 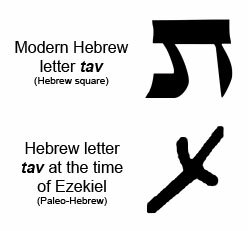 I was curious to investigate the Hebrew word/letter tav more, which I did, and I want to share some of the intriguing things I discovered. No, it isn’t being sealed to your spouse on wedding day, although that is a prerequisite (preparatory and required) to receive this highest and most sacred sealing ordinance. The priesthood sealing powers of Elijah, as restored in this last dispensation (D&C 110:13–16) and vested in the presiding high priest of the Church (D&C 132:7), are truly infinite in their application, being enabled to promise eternal life and exaltation to the faithful saints while yet in this life, as Peter explained to the ancient saints (2 Pet. 1; Eph. 1:13–14). Those saints who so receive are they who are of the church of the Firstborn (D&C 76:54, 94), and who may then receive the Second Comforter (D&C 88:3–5). After a person has faith in Christ, repents of his sins, and is baptized for the remission of his sins and receives the Holy Ghost, (by the laying on of hands), which is the first Comforter, then let him continue to humble himself before God, hungering and thirsting after righteousness, and living by every word of God, and the Lord will soon say unto him, Son, thou shalt be exalted. In 2002 the Church released a documentary on LDS temples that was originally broadcast between sessions of General Conference. 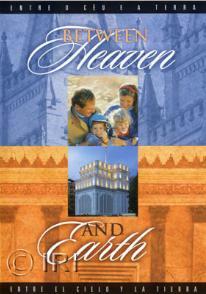 It is entitled “Between Heaven and Earth” and is available on VHS or DVD at Deseret Book, Church Distribution, or the BYU Bookstore. It is being shown at temple open houses and in temple preparation classes throughout the Church. The Millennial Star published a post on it back in 2005, with great excerpts. 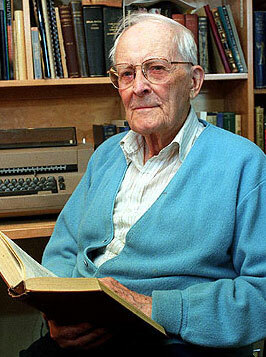 As the Millennial Star points out, it is very possible that Truman Madsen personally made requests of some of the non-LDS scholars to appear and speak on the subject of temples in antiquity and the Mormon practice today. Many of their comments are very insightful to the Latter-day Saints. The scholars/authorities that appear in this film include: Frank Moore Cross (Harvard), Krister Stendahl (Harvard), Lawrence Schiffman (NYU), John Lundquist, Truman Madsen, Elder Boyd K. Packer, and Elder Jeffrey R. Holland, among others.